Day’zshia McKinley Killed in Fort Worth Apartment Shooting. Justice Available to Family? Could the tragic death of this Fort Worth mother-of-three have been prevented? 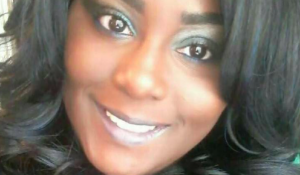 27-year-old mother-of-three, Day’zshia McKinley, was reportedly shot and killed outside her Fort Worth apartment home Saturday, April 21, 2018. According to The Star-Telegram, the shooting occurred shortly before 7 p.m. “at her apartment in the 4400 block of Thornton Street in northwest Fort Worth.” Ms. McKinley was struck by gunfire when she “opened the apartment door and stepped out onto the breezeway.” Her three young sons, ages 5, 3, and 18 months, were inside the apartment at the time. Police have apparently not yet identified a suspect or motive. Did negligent security contribute to this senseless loss of life? We represent individuals and families who have suffered a tragic loss or injury as a consequence of negligent property security. Read Our Legal Take below to find out if Day’zshia McKinley’s family may have a legal avenue for justice and claims for substantial compensation in Texas, or call now for a free consultation with our legal team: 888.842.1616. How did the gunman gain entry to the complex? What security measures, such as gated-entry, fencing, surveillance cameras, and security patrols, were in place to deter crime and protect residents at the time of the shooting? Generally, property owners are required to protect all those legally on the premises from any foreseeable harm. Should the facts of this matter reveal that the apartment complex owner or managment failed to provide adequate security to protect those on its premises, the family of Day’zshia McKinley may seek justice and elect to pursue legal claims for her wrongful death.